"I continued making more pieces for my house. Then I posted my creations on Facebook, and surprisingly, a lot of inquiries poured in." 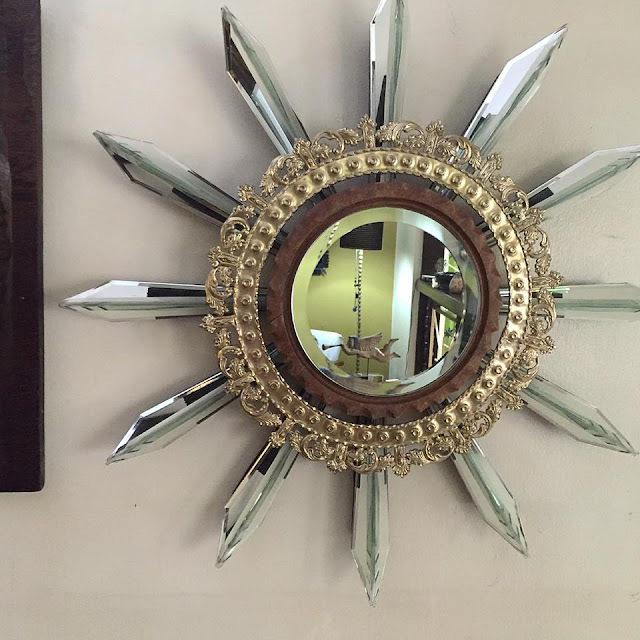 This is because, the finished Espejos are really really lovely. 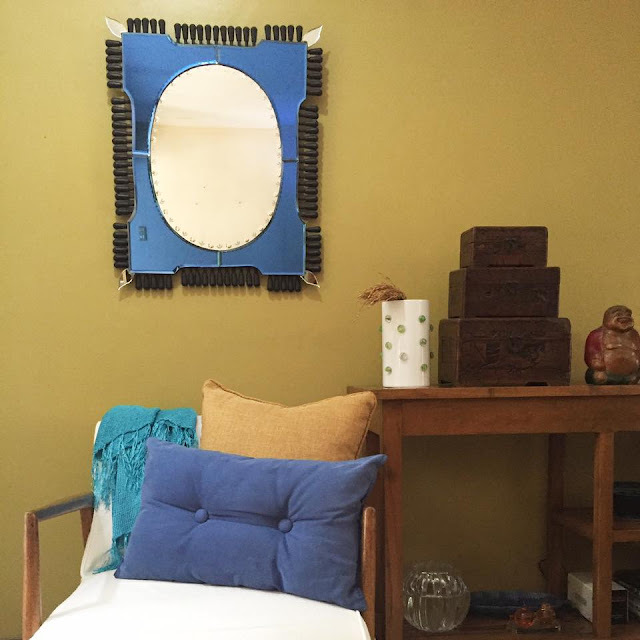 Put in on any blank wall, and guaranteed, that space will be transformed magically. 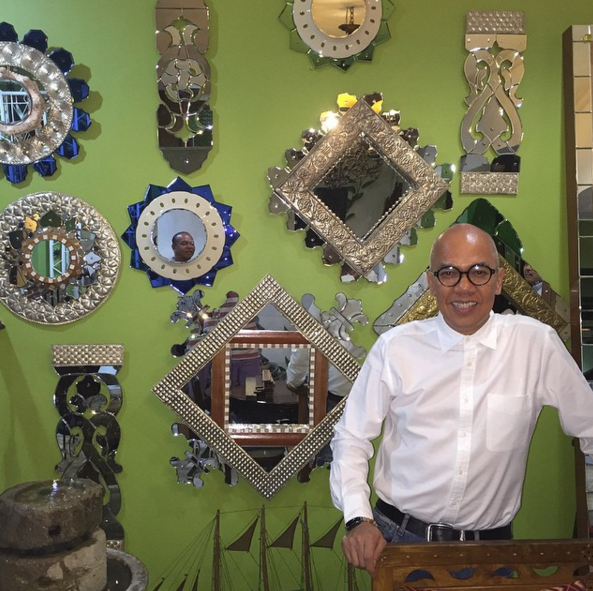 With his resourced materials of wood, brass, broken plates, and even woven baskets, in the creative hands of Pinggoy, it becomes wonderful art pieces. 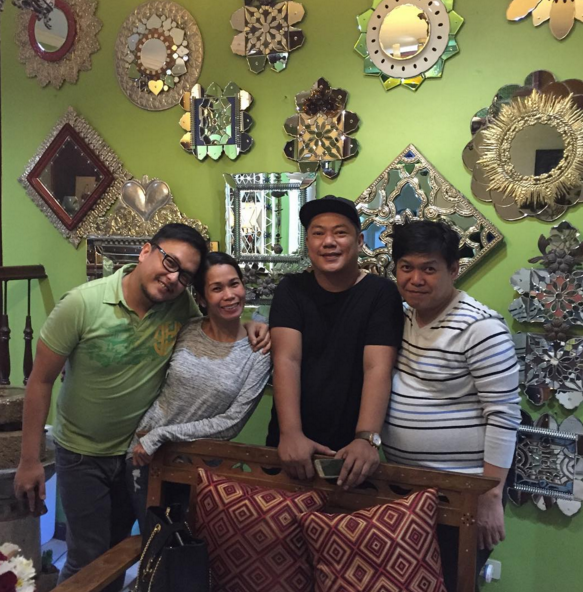 Another celebrity who is a big fan of his espejos is comedienne Pokwang. 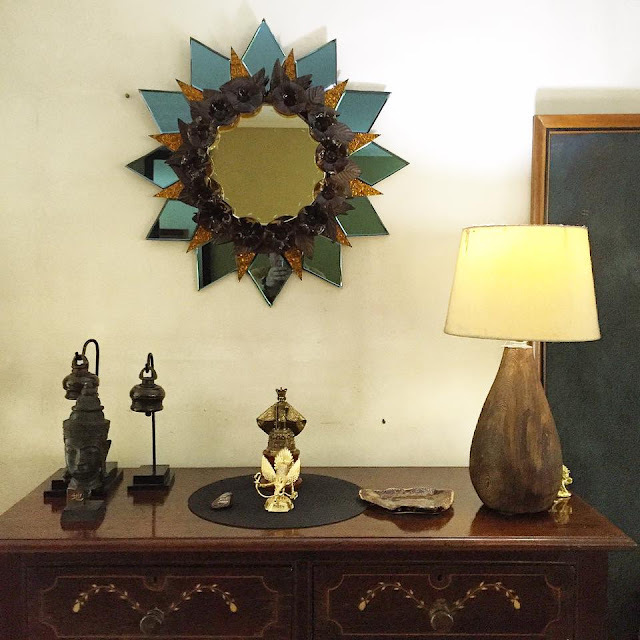 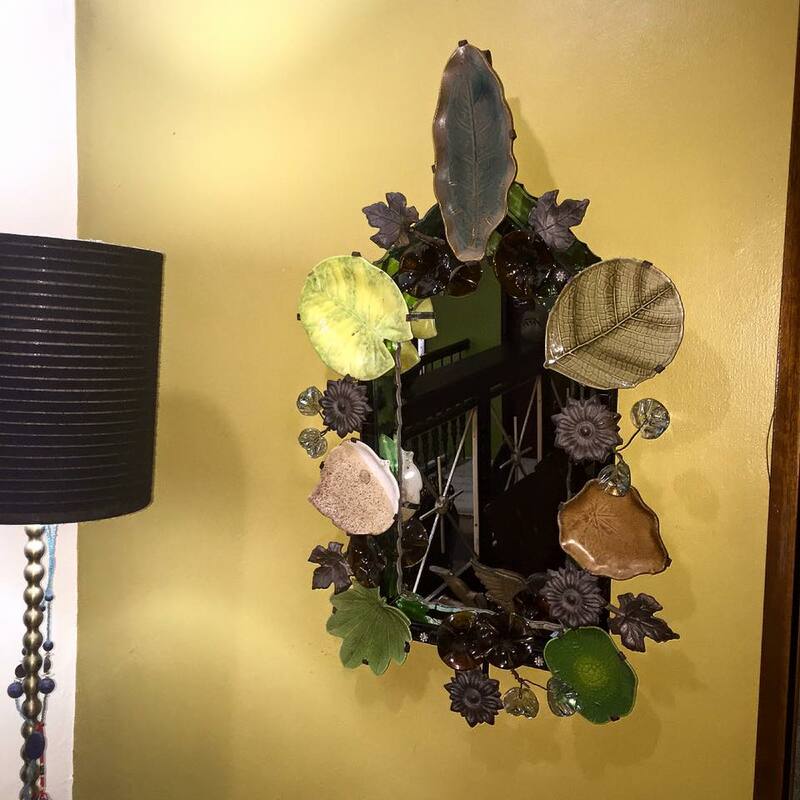 Bakawan (mangrove) salvaged wood with handcrafted brass and hot sculpted glass leaves. 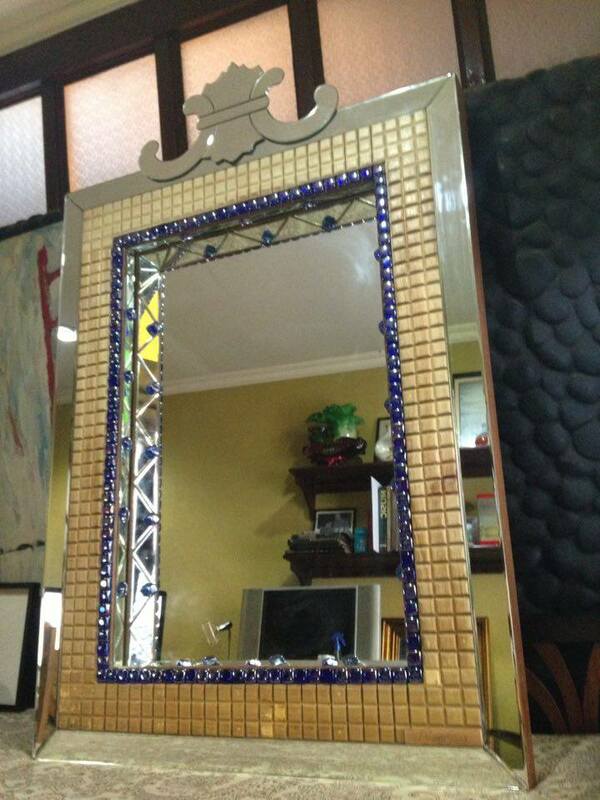 52 inches x 52 inches. 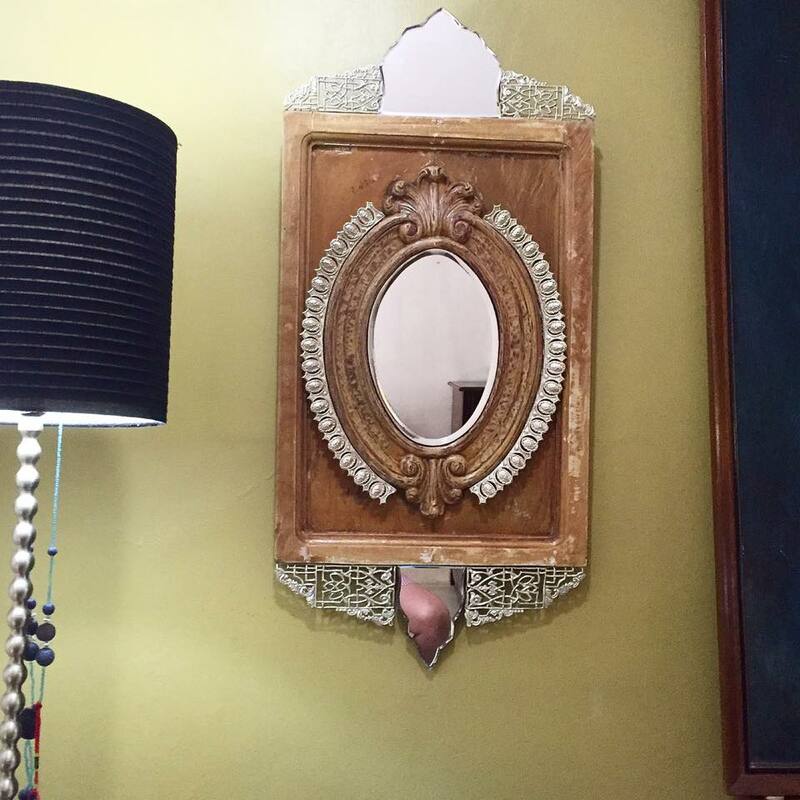 Kuya- handcurved wood frame with handcrafted silver brass. 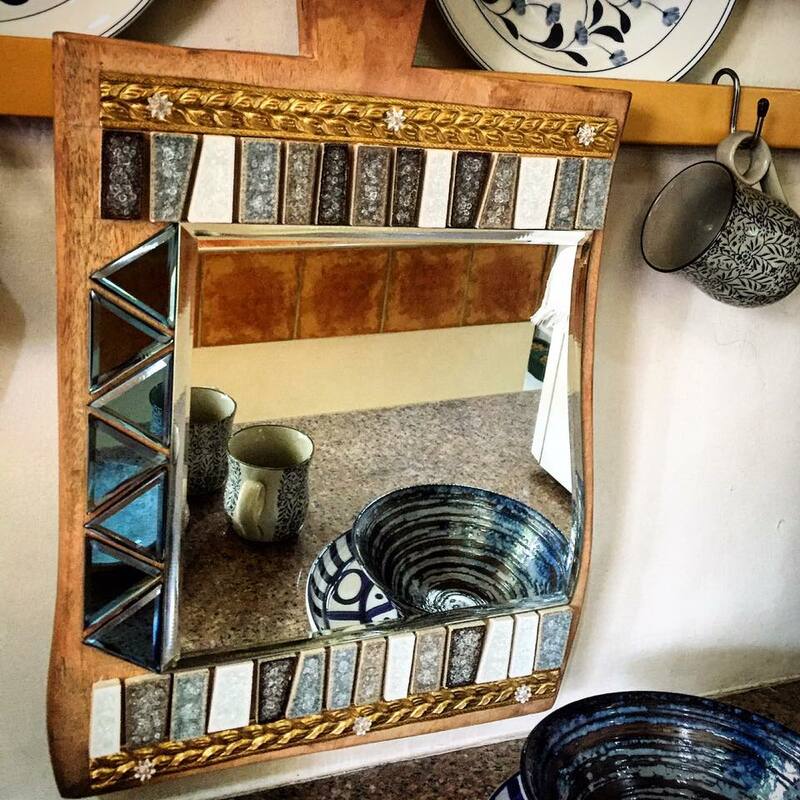 "I don't repeat my work. 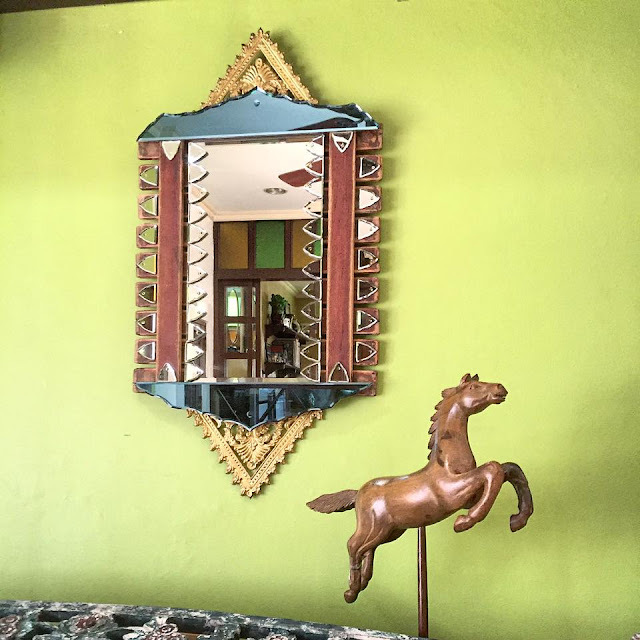 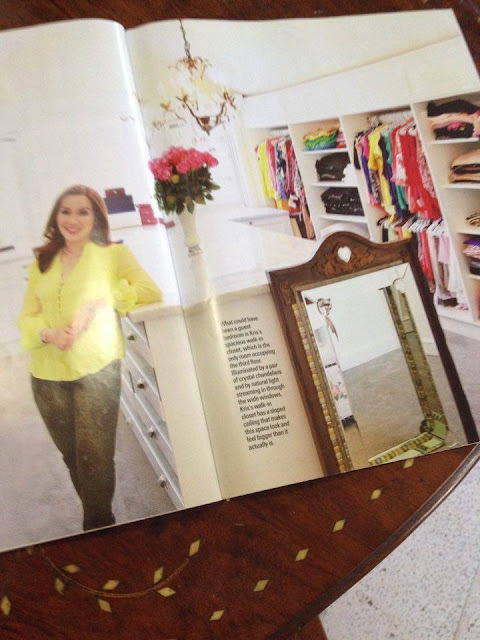 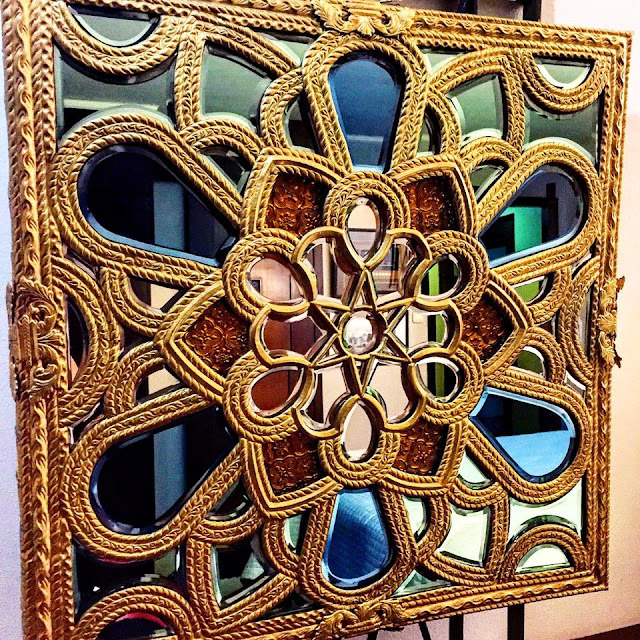 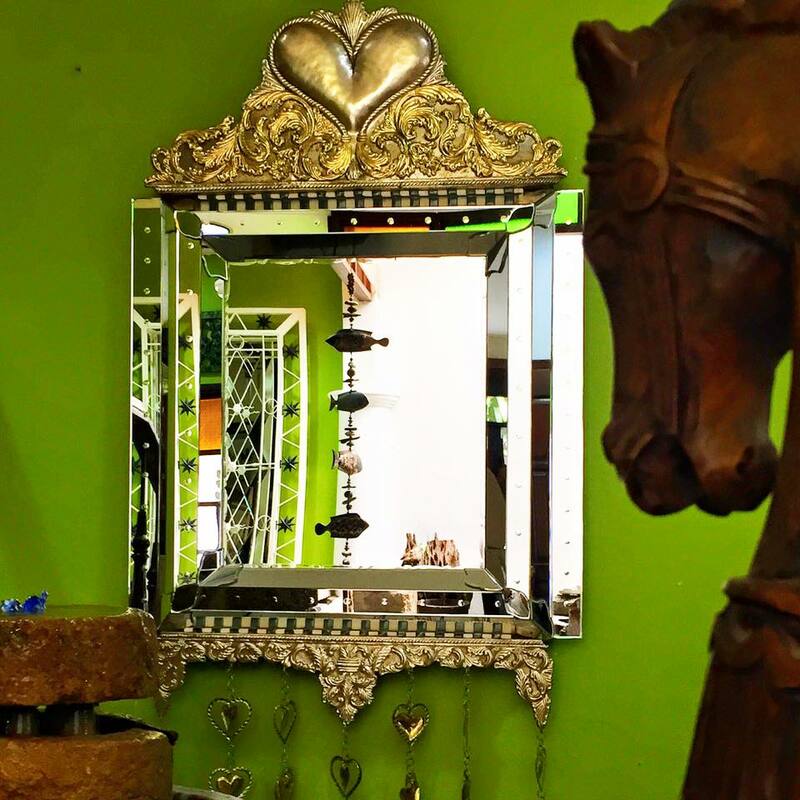 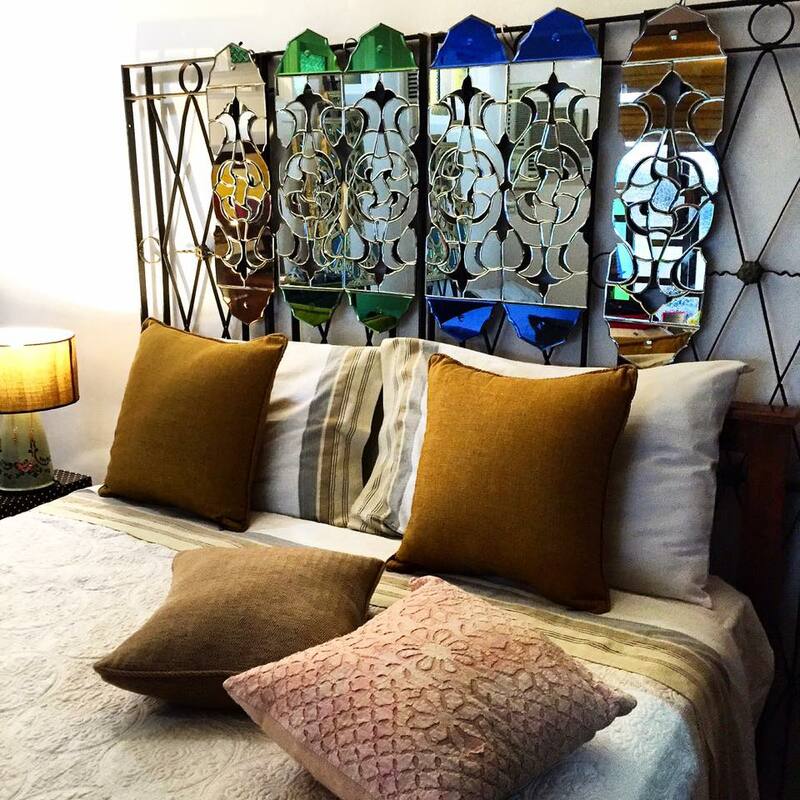 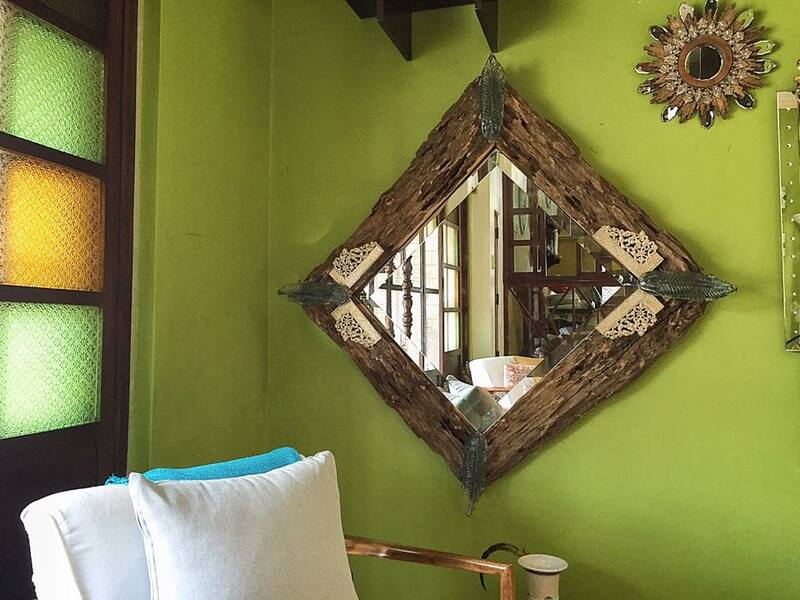 So my buyers will be assured, they are purchasing one-of-a-kind mirrors." 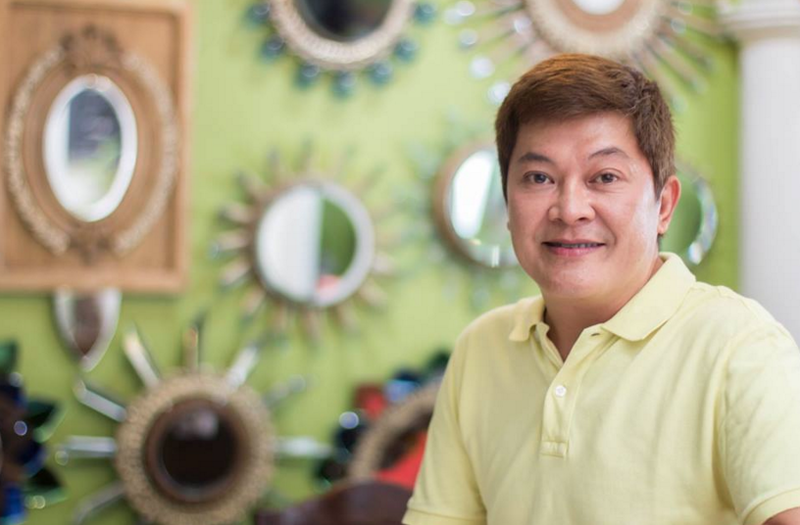 reveals Pinggoy. Sangkalan ( Chopping Board ) Accented with brass, colored glass Tiles and Mirrors. 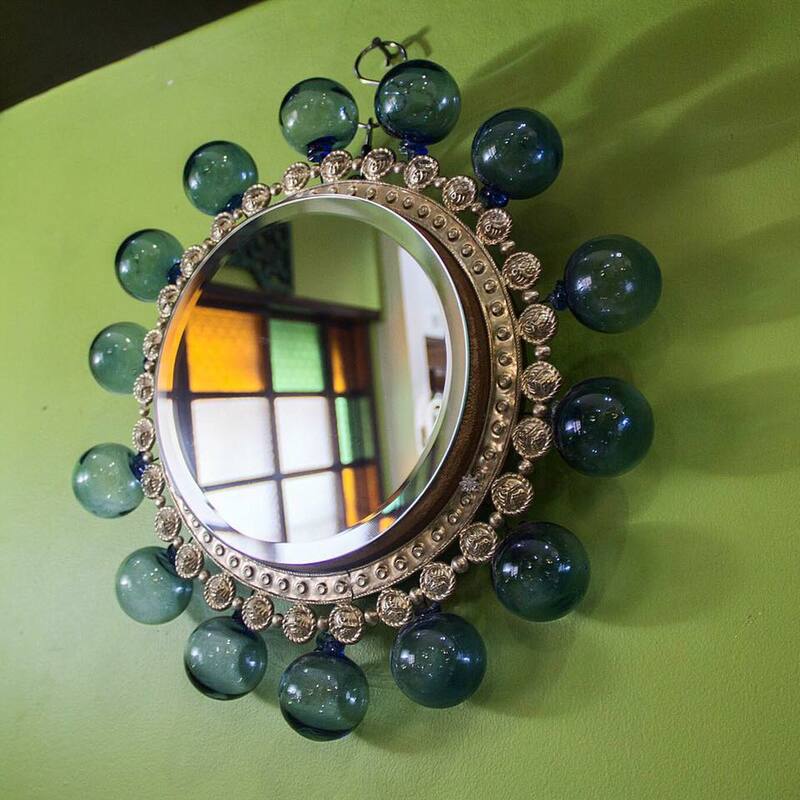 Bluemoon (with hot blown glass balls and silver plated brass frame) 19 inches x 19 inches. Araw, adorned with handcrafted silver brass and cut glass clear mirror. 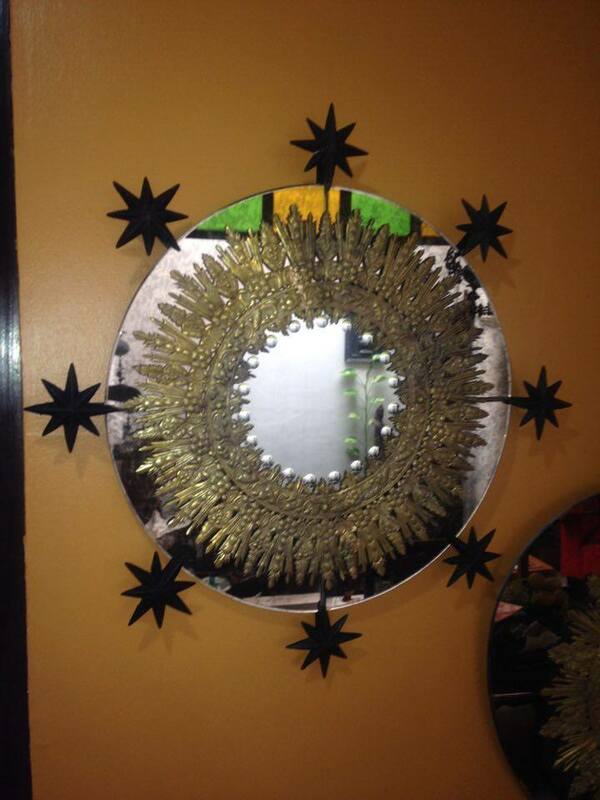 Bituin (Star) Hand Crafted Embossed Silver Brass. 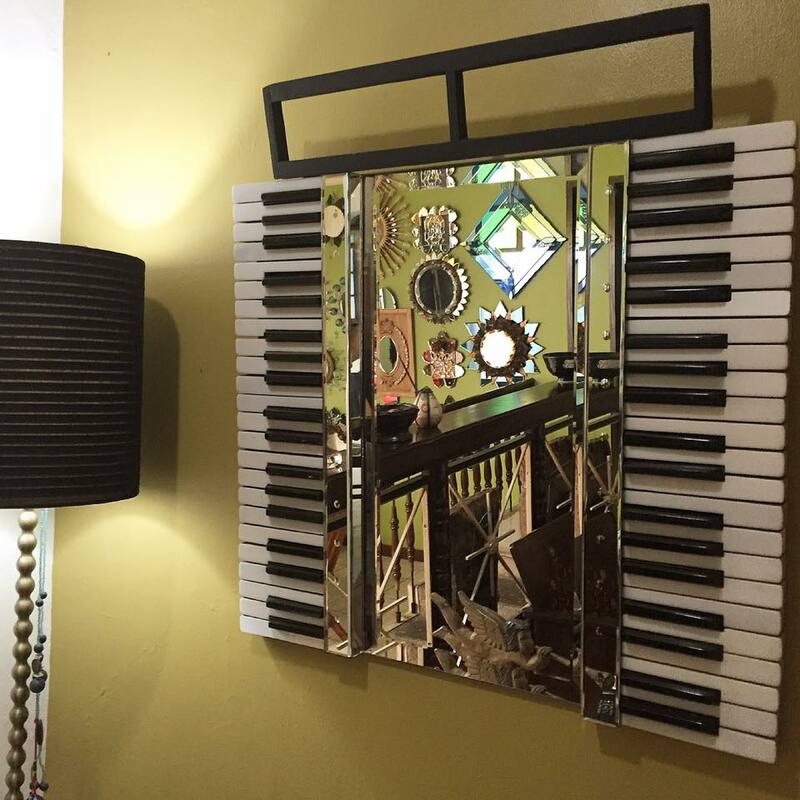 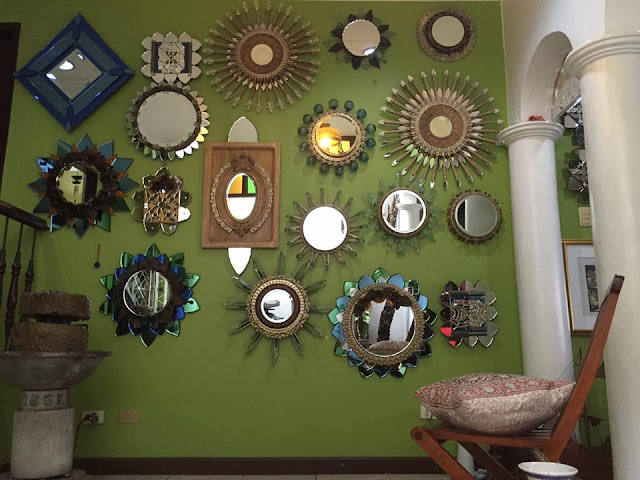 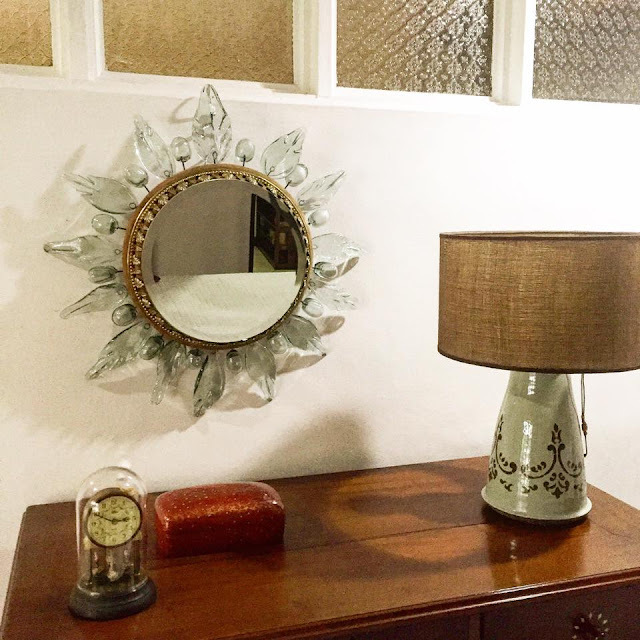 Pinggoy continues, "Since I have so many objects bought from my trips, I started puttig them together, upscaling, refurbishing and recycling and turning them into mirrors. I try to do some sketches for the initial design, altho I am not very good in sketching. 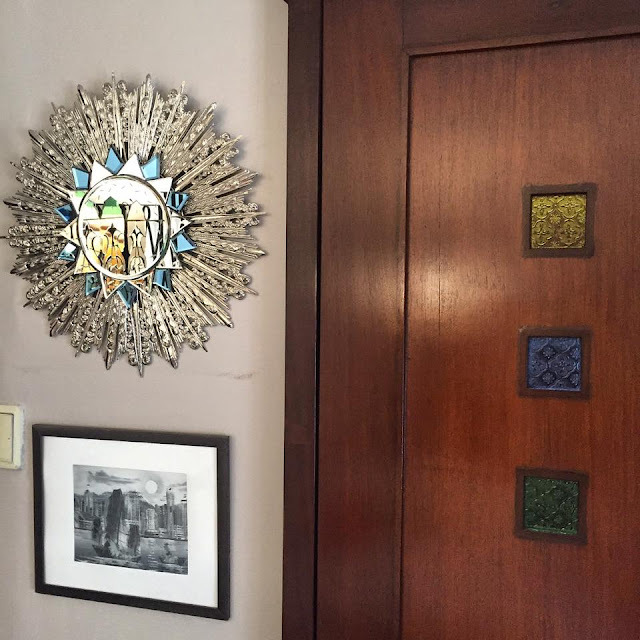 I am usually drawn to wood, architectural details, even old plates of my mother. Anything that will remind me of my lola's house, Christmas lunch in Malabon and my memorable childhood vacations in Capiz. 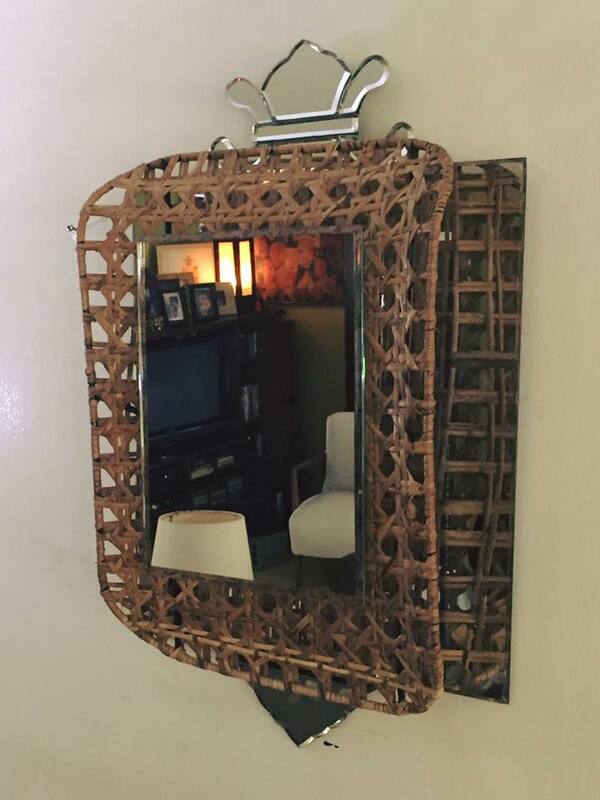 I guess I am an advocate of Filipino Heritage. That makes me happy."